Raúl Gösthe, MD, is a board-certified Orthopedic surgeon fellowship-trained in Adult Reconstruction, specializing in both minimally invasive techniques to hip and knee replacements as well as complex cases and revisions at Holy Cross Hospital. 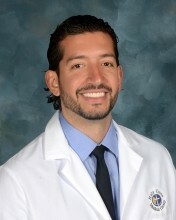 Dr. Gösthe graduated from the University of Florida with a bachelor’s degree in physiology and kinesiology and later received his medical degree from the University of Miami Miller School of Medicine. He completed his residency at Jackson Memorial Hospital serving as an orthopaedic surgery chief resident before completing a fellowship in Adult Joint Reconstruction at the Cleveland Clinic in Weston. Dr. Gösthe has published research and presented extensively at Orthopedic conferences on various topics within the scope of hip and knee replacements. He is fluent in English, Spanish and conversational in German. Please support Dr. Raul Gosthe and his team Holy Cross Orthopedics! Zach’s family helps him find relief by massaging his achy joints and running extra warm showers when he’s in pain. Laura said “Right now, we are in a valley with Zach. It’s the biggest one we’ve faced so far but I am hopeful we will peak again. I want to be able to look back at this time and marvel at how far he’s come, how much stronger he is. And I am confident we will get there. In the meantime, we will continue to take it day by day”. 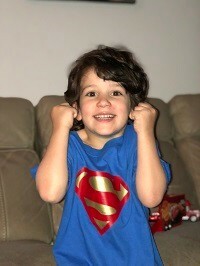 Please support Zachary and his team Zach Attack!